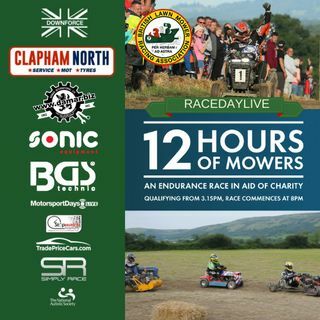 Live coverage of the 2018 BLMRA 12H in association with Team Phoenix Motorcycle Training, from Wisborough Green. Commentary from Jake Sanson, Mark Akeroyd and Joshua Penny. NKG are Lancashire based chaps!! Deadbull are Lincolnshire! Having no recovery for the mowers is a bit dangerous having team members running across a live track. The North West 6hr and the West Midlands 555 all have recovery vehicles. how do we find the whos racing live link? how is pain in the grass doing ?